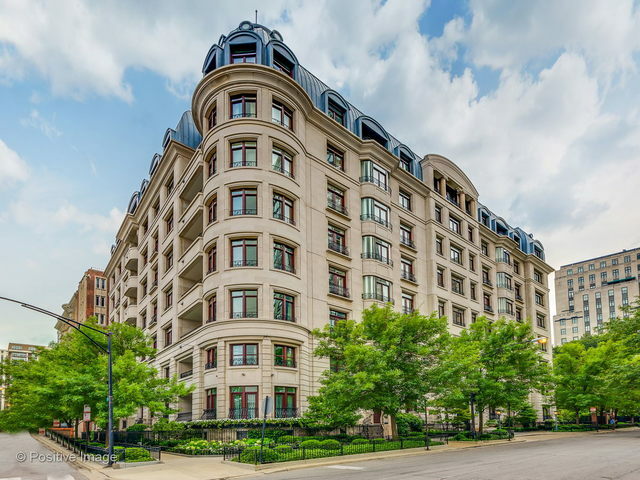 Classically designed home in a superb Gold Coast building w/a premiere locale. 6200 square feet of luxe, this home offers expansive room sizes & stylish finishes at every turn. The formal living room has hand waxed wide plank wood flooring & is open to the formal dining space & opposing den w/built ins. The wall of windows in this dramatic space brings amazing light. The oversized Bulthaup eat-in kitchen has double islands, all top end appls, butler pantry, & access to the family rm w/sensational lake views. An east-facing terrace has the same great views. A truly grand master suite w/dual baths, dual walk in closets w/wonderful built ins, & views over Goudy Park. There are 2 more nicely appointed ensuite bedrms plus a separate sitting or exercise rm w/a 2nd west facing terrace. A true ldry rm, mudrm, wine strg, & Crestron system are just some of the other great features of this home. This is a fab bldg w/full time doorstaff & an amazing common rooftop garden. 2 gar pkg spcs available.